You can quickly generate heatmaps view for any website URL if the website has VWO code installed on it. To view heatmaps, select Heatmaps under Analyze on your VWO dashboard, and then type the URL of the page. 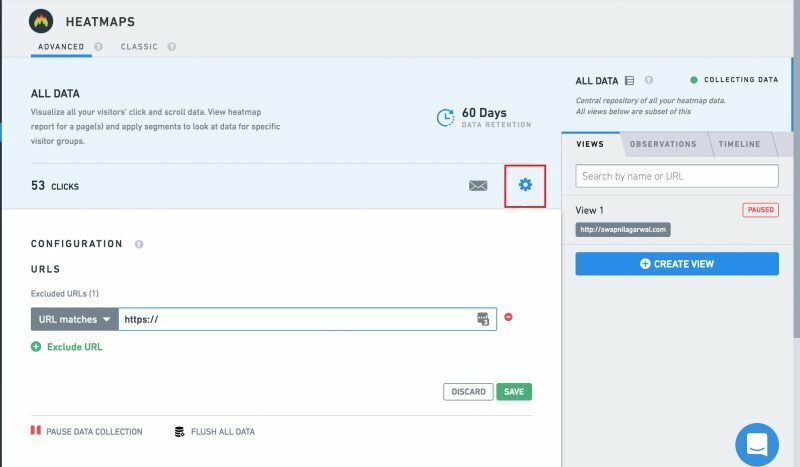 ATTENTION Please note that the number displayed on the Heatmaps dashboard is the total number of clicks across all your website pages where the VWO code is installed. You can view the detailed report and page-wise report only after setting up heatmaps on the page. Click the Settings gear above the URL field. Click the Edit icon next to Configurations. 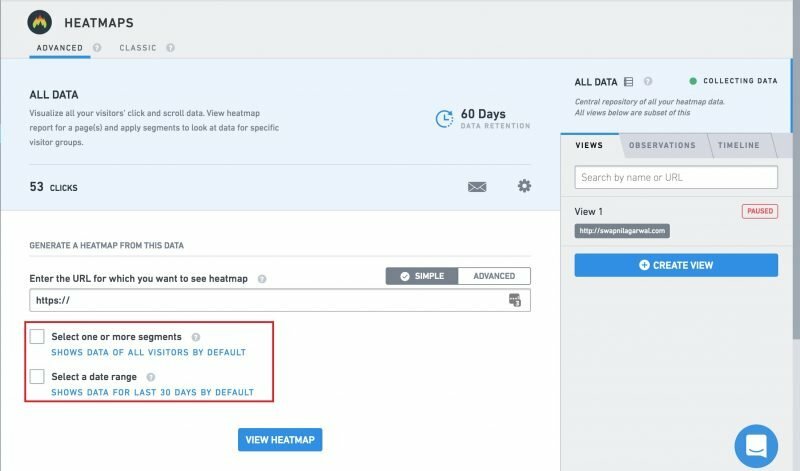 To set up heatmaps on multiple pages, you can match patterns by using asterisk (*) or selecting one option from the URL match options. Click Exclude URLs to add pages where you don’t want to track visitors. Excluding pages allows you to avoid collecting needless data and optimize usage data. To read our article on the data usage and retention policy, click here. You can additionally create segments to view data from a specific visitor group or heatmaps, or select a date range you want to view. You can create multiple views to quickly check heatmaps on different pages and URLs. To learn how to create a heatmap view, click here.